There are many actors in our Hindi film industry who made bold moves, unconventional choices and their own rules. They also can’t make any unconventional choices if they want the success to keep coming their way. Does success actually matter when you can’t speak your mind and be yourself? Guess not! 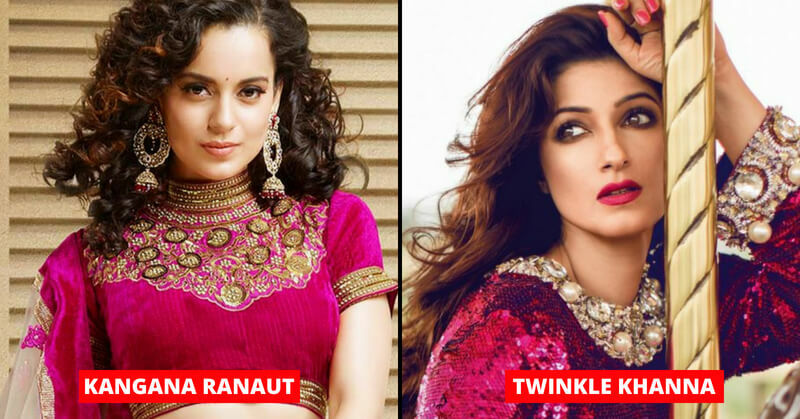 Here is the list of some of the boldest actresses in B-Town. She is the most daring actress in Bollywood. Kangana Ranaut never hesitates to speak her mind out. She made everyone proud by taking a bold step and confessing about her affair with Hrithik Roshan. She has always spoken about gender discriminations and nepotism in Bollywood. Her relationship with Aditya Chopra made lots of headlines back in the day. However, she shuts everyone down after marrying YRF’s head honcho. She took a break from industry for some time to enjoy her personal life. Kalki is currently one of the finest actresses working in Bollywood. Every character she has played looks perfect on the screen. She always leaves marks whenever she appears on the big screen. Raveena Tandon has entertained millions of fans with her amazing performances in several films. The actress adopted two girls Chhaya and Pooja even before she got married to Anil Thadani. She listened to her hearts and broke all the stereotypes associated with the actresses.